The manuscript collections include the papers of the powerful elite; most of the civil, religious and military figures covering the colonial era and the nation's early years up to the start of the 20th century; the papers of New York's wealthy landowners and merchants; and the diaries, correspondence, and ephemera of everyday people. Among the many prominent collections are papers of the Livingston, Beekman, Rutherfurd and Alexander families, and individuals such as Cadwallader Colden, John Jay, Horatio Gates, Rufus King, Albert Gallatin, and Aaron Burr. 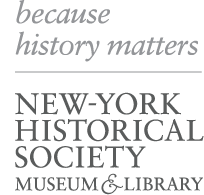 In addition, are several collections of prominent New Yorkers from later periods such as William Sulzer, Harmon Goldstone, activist Shirley Hayes and preservationist and journalist Margot Gayle.